2: Open your WoW Main Folder and put our new "Wow.exe" in it. 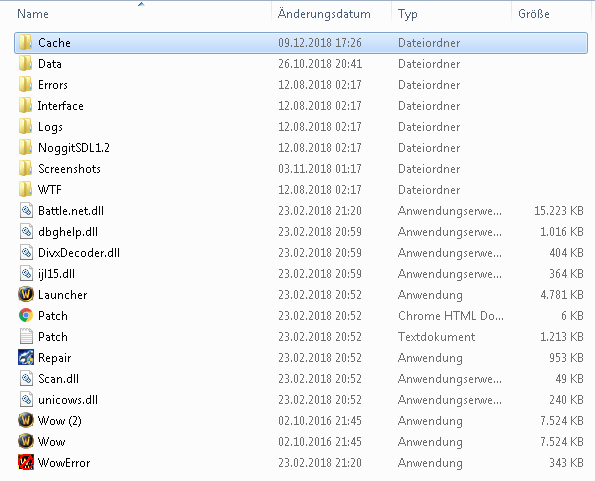 3: Open your Data folder and put both Patches into it. Your folder should look like this one. 4: Go back to your Main Folder and delete the Cache folder. That's it, have fun and Enjoy the Game. NOTE: Please choose between these two combinations and place it into your Data folder. Also, don't forget that you cannot have other custom patches (.mpq ones) except retail ones and our (OblivionWoW's) one. Having problems displaying the items, though you have our patches? Open a Ticket ingame or try to reach us on Discord. 1. You must create an account. Don't forget to read our ToS (http://www.oblivion-wow.net/page/tos ) before registering. The account is used to log into both the game and our website. Click here to open the registration page. 3a. Download and Install uTorrent found here. 3b. Go here., and save the file. Then, double left click on the file you downloaded, wait a few seconds until uTorrent launches and load the file into it. 3d. Wait until uTorrent reports that the file is completely downloaded. Once the installation is complete, the launcher will attempt to patch. You MUST abort this patch, as 4.x.x is not supported on Oblivion. For future reference, always start WoW with the World of Warcraft.app file. Next, you will need to patch your client to 3.3.5a. Download and install the following patches, in order of posting (you only need one of each patch, multiple mirrors are listed). If a link is broken, you can find alternate mirrors here or here. All you need to do is run the updater file included with the patch. If it will not run, see notes at the end of this guide. After each patch is completed, DO NOT let the auto update patch to 4.0 - abort it immediately. Next, you need to set your realmlist to use the Oblivion server. 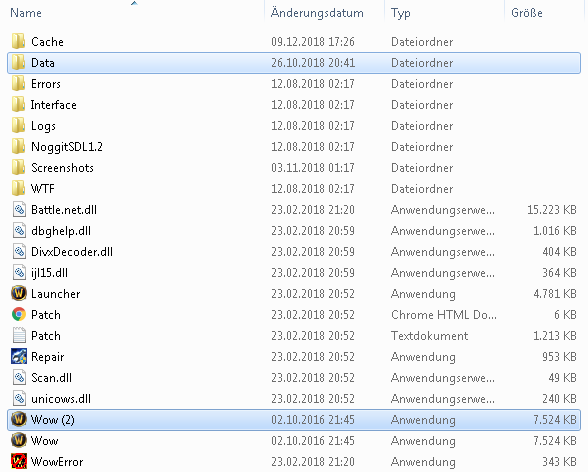 The file is located in /Applications/World of Warcraft/Data/enUS/realmlist.wtf. Right or control click this file, go to the "Open With..." option, and select "Other". It will open your Applications folder. Select "TextEdit" then "Open". 1. Right/control click the patch file and select "Show package contents"
1a. If you see the real patch file now, run that. Otherwise..
2. Go to /contents/MacOS/ and you should see a file called "installer"
5. Drag the "installer" file to terminal. The path of the file should be entered into terminal. Try deleting the file "Applications/World of Warcraft/Data/enUS/backup-enUS.MPQ", rebooting then patching again.